The diversity of our university must reflect the diversity of the world around it – and the diversity of the world that we want our students to lead. We live in a gloriously diverse world. Ensuring that our students are exposed to the vibrancy, richness and nuance of diverse life experiences, orientations, and perspectives is fundamental to the education we provide, and one of the distinctive characteristics of the Penn experience. At Penn we take pride in the myriad ways that diversity enriches our curriculum, and the cultural and social life of our campus. Penn's commitment to achieving eminence through diversity is ultimately a commitment to creating a more vibrant university so that our graduates will be both stimulated and empowered to shape a better world. Philadelphia is the nation’s sixth largest metropolitan area. A vibrant and accessible city of neighborhoods, Philadelphia is home to internationally renowned museums and galleries, exceptional concert and theatre performances, world-class dining and shopping, and vast parks and lush green spaces. Whether it’s to explore the nation’s founding at Independence Hall and the Liberty Bell, visit the Philadelphia Museum of Art, browse the bustling stalls of Reading Terminal Market, experience Impressionist masterpieces at the Barnes Foundation, or catch a Phillies game at Citizens Bank Park, the United States’ very first World Heritage City has something for everyone. 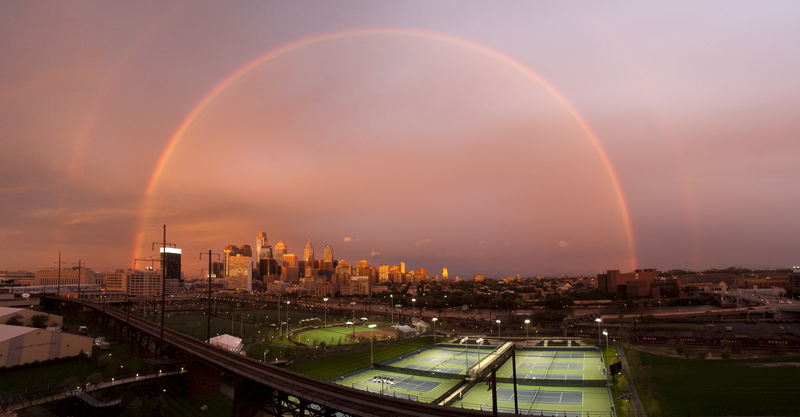 A dynamic array of colleges and universities, including Penn—the city’s largest private employer—call Philadelphia home. Ideally located just a short train ride from New York City and Washington, D.C., Philadelphia is a favorite destination for visitors from across the country and around the world.